HomeSpanish CourseSome common Nouns In Spanish lesson 1 of the free course. 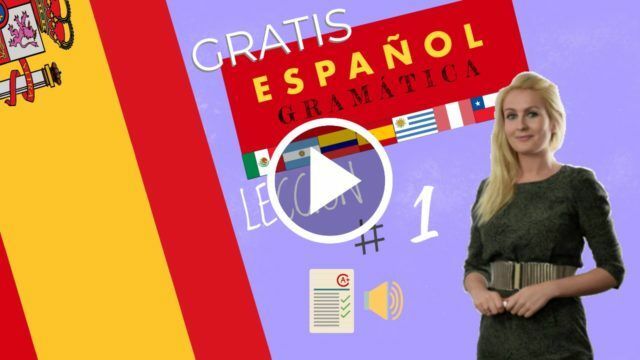 July 18, 2018 julia Spanish Course Comments Off on Some common Nouns In Spanish lesson 1 of the free course. A noun is a word that refers to a person, thing, place or situation. Examples of nouns in Spanish: book, chair, Ernesto, Ana. Nouns In Spanish, all nouns have two different genders: male and female. María is in Madrid. She is looking for Mario Vargas Llosa, a famous journalist. María: Hi, I’m going to introduce myself: my name is María! Mario: Hello María! Delighted! How are you? María: Well, thank you! And you? Maria: Are you Mr. Vargas Llosa? Mario: Yes, That’s me! I’m Mario Vargas Llosa. María: Delighted to meet you! Mario: What’s your name, Maria? María: My name is María Sánchez. Mario: Are you a journalism student? María: Yes, I’m a journalism student. I want to be a journalist and I am looking for an internship. Mario: Very good! Here is my business card! María: Thank you, see you soon! Here is my business card! A noun is a word that refers to a person, thing, place or situation. In Spanish, all nouns have two different genders: male and female. My name is Mario Vargas Llosa. 4-Are you a journalism student? No, I’m a journalism professor. 5- See you soon, Mr. Vargas! Below, you have 3 types of tests of the online Spanish course nouns in spanish. Spanish Comprehension Exercise nouns in Spanish.